Tim Adelman pitched six innings of three run baseball Wednesday against the Diamondbacks. Adelman also struck out seven and walked none. While it may not seem like a fantastic outing it was a very solid outing against a good team that can hit the ball quite well. The Reds won the game in the 11th inning 4-3. 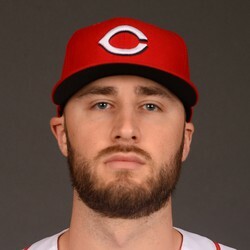 Tim Adelman does not carry much fantasy value even though he's been one of the Reds more consistent pitchers; however that is not saying too much. Adelman could be streamed in a plus matchup but doesn't offer much in the way of strikeouts. No need to read anything into this start. Leave Adelman on the free agent list.